Most renowned today as the brother of Nobel Prize-winning author William Faulkner, John Faulkner nevertheless was likewise a fiction writer, though of a considerably different style and sensibility than his brother. He was born September 24, 1901, in Ripley, Mississippi, the third of four sons, and was named John Wesley Thompson Falkner, III, after his grandfather. (Like his oldest brother, as an adult he would change the spelling of his name to "Faulkner.") He lived most of his life in Oxford, working at a number of occupations, including railroad employee, highway engineer, pilot, and finally, managing his brother William's farm, Greenfield, at which the primary incentive was to breed mules, despite the declining demand for such beasts for farming. Though the farm was located only a few miles from Oxford in the hills of eastern Lafayette County, his work at the farm brought Faulkner into contact with a people who were decidedly different from the small-town residents he already knew. Fiercely independent, the rural farmers surrounding Greenfield fascinated Faulkner, and this fascination formed the basis for his writings. Faulkner's first published work, Men Working (1941), is a satirical comedy that exposes how government bureaucracy (in the form of the "W P and A") adversely affects the lives of an agrarian family who are forced to leave the land during the Depression in order to find work. In 1942, Faulkner published Dollar Cotton, his only work set outside the Mississippi hill country. It tells the story of Otis Town, who around the turn of the century acquires a virgin tract of Mississippi Delta and after tremendous efforts turns it into a lucrative cotton plantation, only to lose everything in the recession of 1921 when the cotton market collapses. Faulkner's next work, Chooky (1950), is a series of sketches about an eleven-year-old boy, who was a composite of Faulkner's own two sons, Jimmy and Murry, who was himself nicknamed "Chooky." Faulkner's next novel would be published by a different publisher as a paperback original under the title Cabin Road (1951). This and his next four paperbacks are prime examples of Southwestern humor, detailing a cast of backwoods innocents who cannot comprehend the complexities of the twentieth century. Much of the humor in these final works is bawdy, but much also derives from the absurdities resulting from the arrival of strangers in the realm of "Beat Two," the rural enclave that serves as the common setting. Faulkner's final book was a tribute to his brother. My Brother Bill was written after William's death on July 6, 1962. John Faulkner himself died less than a year later, on March 28, 1963, shortly after finishing the manuscript. 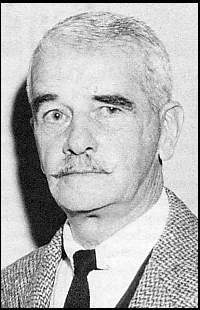 The book details mostly childhood events from their lives, and while the book will probably not satisfy serious inquiries into William Faulkner's life, the book does have a kind of innocent charm as well as a first-person account that other scholarly biographies do not. Memory House on the University of Mississippi campus was home to John and Lucille "Dolly" Faulkner. Today, it houses the University of Mississippi Foundation, at whose web site you can read a short history of the house, from its construction ca. 1837 to the present. Men Working. New York: Harcourt, Brace, 1941. Dollar Cotton. New York: Harcourt, Brace, 1942. Chooky. New York: Norton, 1950. Cabin Road. New York: Fawcett, 1951. Uncle Good's Girls. New York: Fawcett, 1952. The Sin Shouter of Cabin Road. New York: Fawcett, 1955. Ain't Gonna Rain No More. Greenwich, Conn.: Fawcett, 1959. Uncle Good's Weekend Party. Greenwich, Conn.: Fawcett, 1960. My Brother Bill: An Affectionate Reminiscence. New York: Trident Press, 1963. Bandry, Michel. "Cabin Road: John Faulkner's Lafayette County." Interface: Essays on History, Myth and Art in American Literature. Ed. Daniel Royot. Montpellier: Pubs. de la Recherche, Univ Paul Valery, 1985. 71-80. Hawkins, E.O. "Faulkner, John Wesley Thompson, III: (1901-1963)." Lives of Mississippi Authors, 1817-1967. Ed. James B. Lloyd. Jackson: University Press of Mississippi, 1981. 164-66. ---. John Falkner. Jackson: Mississippi Library Commission, 1977. Hicks, Granville. "Requiem for the Famous Son." Review of My Brother Bill. Saturday Review 46.38 (21 September 1963): 31-32. McDonald, Robert L. "'On the Edge of the Porch': Entering the Hillfolk's Domain in John Faulkner's Cabin Road." Notes on Mississippi Writers 24.2 (July 1992): 89-98. Sugg, Redding S., Jr. Introduction to Cabin Road. Baton Rouge: Louisiana State University Press, 1969. ---. "John Faulkner's Vanishing South." American Heritage 22 (April 1971): 65-75. Thompson, Lawrance Roger. "A Dim Light in September." Review of My Brother Bill. Washington Post Book review 1.1 (15 September 1963): 4, 16. White, Helen, and Redding S. Sugg, Jr. "John Faulkner: An Annotated Check List of His Published Works and of His Papers." Studies in Bibliography: Papers of the Bibliographical Society of the University of Virginia. 23 (1970): 217-29. This page has been accessed 6604 times. About this page counter. Last Revised on Monday, November 9, 2015, at 04:35:06 PM CST.